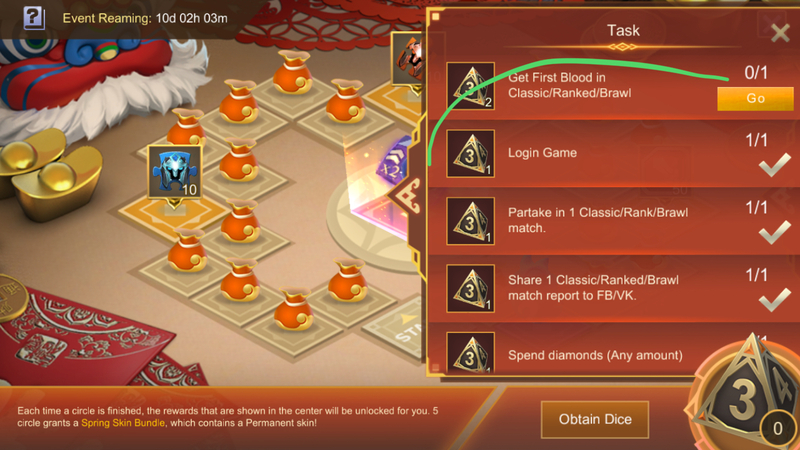 Spring Event first blood - General Discussion - Mobile Legends: Bang Bang - Powered by Discuz! The task says it all ;c it's really hard if you're a non-aggressive player during early games or uses a non-carry hero. Good luck! And i can even get the all. I missed last 2 days man. Easy solution. Pick selena, take the blue and reach lvl 2. Then assassinate the enemy while he is doing the jungle mob. Is this over? I should check it.